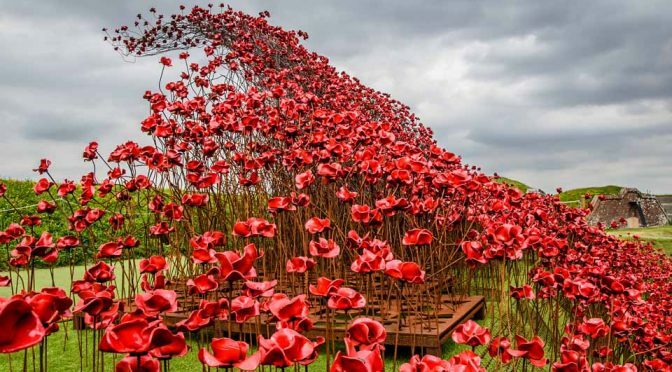 The Poppies Wave at the Royal Armouries, Fort Nelson, together with the Weaping Window were created to mark the centenary of the outbreak of war. Now in its last few days on show at Fort Nelson on Portsdown Hill. Many other interesting exhibits, tunnels to explore, views to the north of Hampshire, Art and of course the obligatory shop!